Sigma Beauty Blog: Behind-the-scenes at the Sigma Studio! Happy Friday, gorgeous! Today we’re giving you a behind-the-scenes view of a recent video shoot at the Sigma Beauty Studio.Makeup artist Bria Uzzell has more than nine years of experience in the hair and makeup industry. She’s been featured on TC Live and styled for MSP Magazine. In this particular Sigma Beauty tutorial, Bria showed viewers how to properly use the new Sigma Beauty Synthetic Essential Kit on our beautiful model, Jenna. Take a peek! Want to see more? Watch the full video on our YouTube channel here! Good videos, very useful! :) Thanks! 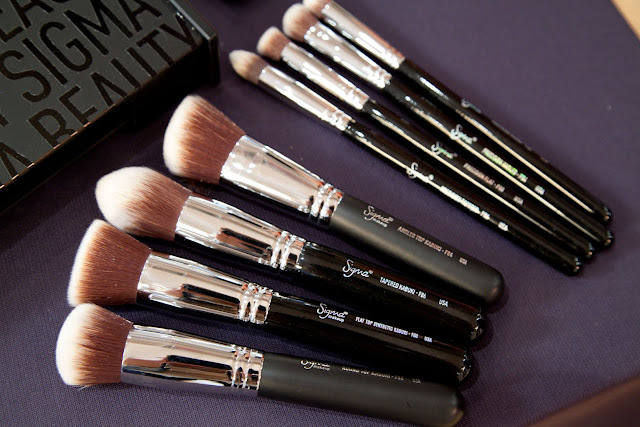 Love the new brushes from Sigma!